They require well-drained and fertile, moisture-retentive soil, which is slightly acid. To achieve this, incorporate moderate amounts of well-rotted manure (5.4kg per sq m/10lb per sq yd) into the soil, but avoid using fresh manure or large quantities, as this may lead to lush, leafy growth at the expense of fruit. 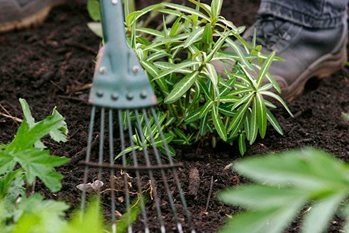 Plants will be ready for planting in their permanent position or for potting-on when they have reached flowering size, approximately eight weeks after sowing. In mid-February or early March, sow fresh seed for plants that are to be grown under glass, and in late March or early April for peppers to grow outdoors. If you can’t provide sufficient heat and light for germination and growing on, young plants can be purchased from garden centres in spring. Grafted seedlings of both chillies and peppers can also be ordered from suppliers for delivery from mid-April and are especially useful where growing conditions are a little cool. Botrytis (grey mould) can occur on stems, petioles and fruits in cool, wet weather, but quick removal of diseased material and increasing air circulation reduces damage. Soil-borne disease such as verticillium wilt and sclerotinia can be an issue, so grow on a fresh site or in growing bags.